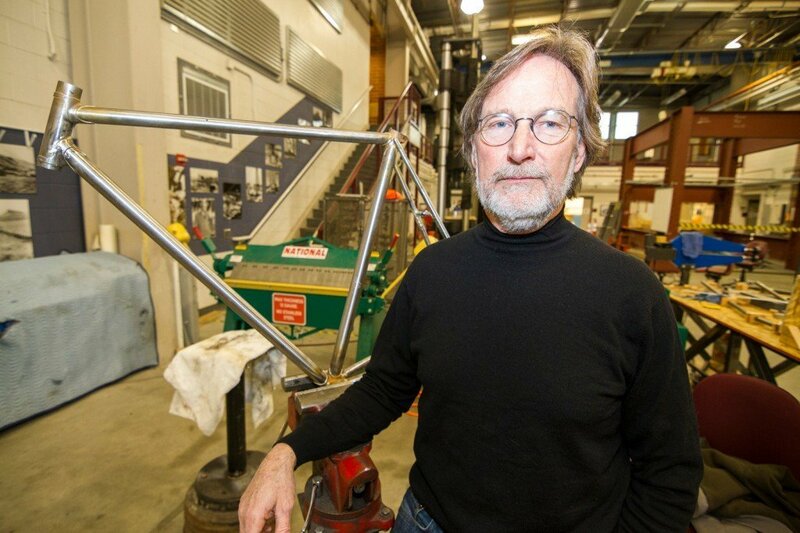 His class, Bicycle Engineering, is a relatively new course at Boise State. It is in its third year now, but is only offered during the fall semester. Students learn about different aspects of a bicycle and work together as a team to construct one during the term. Bicycles are a personal passion of McDonald’s, who owns a myriad of bikes of his own. McDonald says he owes a lot to Dr. Janet Callahan, Associate Dean of the College of Engineering and the college course evaluation committee for helping him implement this course. He is also grateful to a number of local companies that have provided materials and expertise to help make this course a success, including Boise State Cycle Learning Center, Warden Fluid Dynamics, 80/20 Inc. and George’s Cycles. McDonald says he would like to continue evolving the course to make it better than the last, and hopes to one day have the chance to allow each student to make their own bicycle during the course. He hopes that the course will spark an interest in physics and engineering in students, areas that are less popular subjects of study. “You hear people talk about making engineering and science fun. My idea is that it is fun already. You just have to show people that it’s fun,” he says. This seemed to be a general consensus, as during our interview a colleague asked McDonald for assistance with a gear related problem he was having on his bicycle. Although McDonald no longer participates in as many organized bicycle events as he used to, he still rides his bike when he gets the chance. Despite its flaws, the bicycle made last year by his class hangs in his office, waiting to travel the open road.